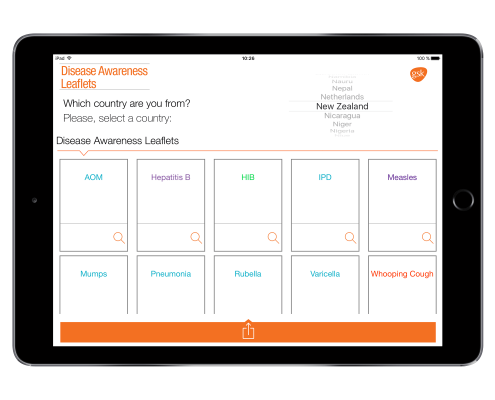 Brochure Selector is a software programme for the iPad, the objective of which is to allow users to view, select and send documents by e-mail. 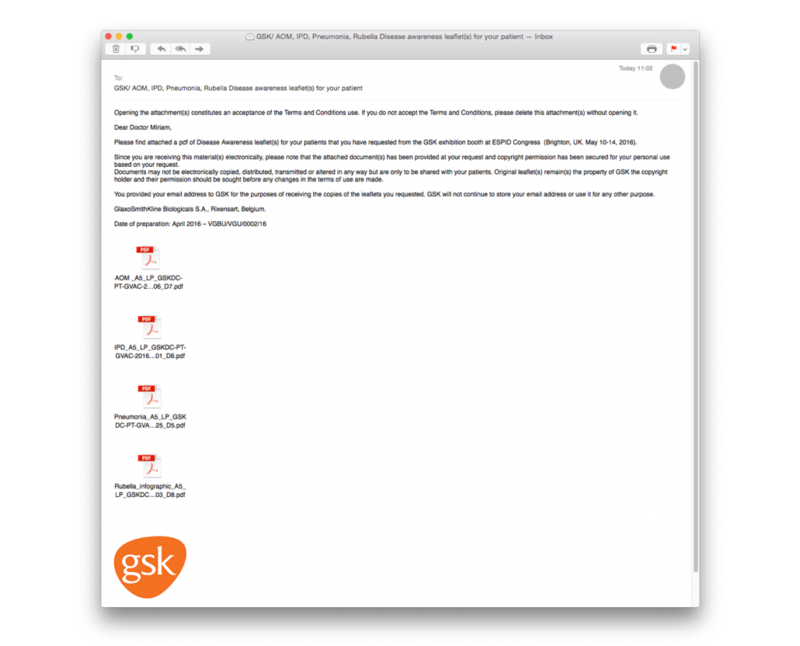 Pharmaceutical companies nowadays distribute numerous documents to healthcare professionals. However, due to printing costs and limited space at pharmaceutical company exhibition stands, it is difficult to offer all available materials during a medical sales visit or at medical conferences. Doctors often request scientific articles or product literature during a medical sales visit and representatives do not always have the requested material available. At international conferences, on the other hand, there is the added difficulty of offering material to doctors attending the conference which complies with the legislation in force in the doctor’s country of residence and is in their own language. 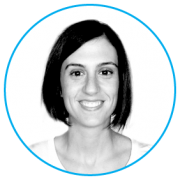 The Brochure Selector application was created to provide a solution to all of these problems. Before attending the conference, the pharmaceutical company must send ec-europe all document files to be included in the application. All PDFs the pharmaceutical company wishes to distribute are incorporated and classified according to the filter required by the pharmaceutical company (language, doctor’s country of residence, medical speciality, pharmaceutical product, etc.). For instance, if a user wishes to select documents by country, once at the conference, the application will allow a representative or doctor to select the country of origin and view all documents to which they have access. Once the available documents have been accessed, all pages of the file can easily be reviewed and zoomed in to in order to view their details. Users can then select the documents that interest them the most by marking them within the application. Once the selection is complete, the user must enter the name and e-mail address of the person to receive the documents and press the send button. This allows each doctor to select the information they wish to receive at the pharmaceutical company’s exhibition stand, and the pharmaceutical company to provide each doctor with specific documents according to their country or speciality. 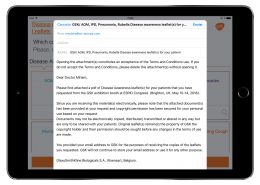 The application allows healthcare professionals to accept certain legal conditions required in order to comply with corporate policies. 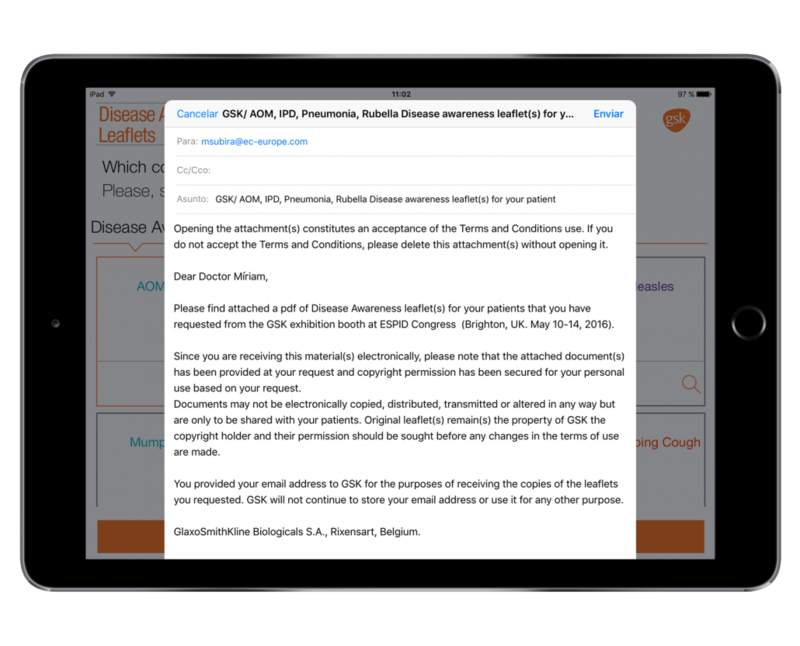 This same application can be adapted to be used by the sales force so that they always have the documents available that they wish to distribute to doctors. Thanks to Brochure Selector, sales representatives can offer doctors a greater variety of scientific documents and literature on the substances they promote without having to carry the material in their briefcase or cluttering up the doctor’s surgery with printed products. The application is updated every time the pharmaceutical company publishes more recent versions of existing documents and eliminates some while incorporating new ones. As well as implementing and updating the content provided by the pharmaceutical company, the application can be customised with the logos and colours of the pharmaceutical company. 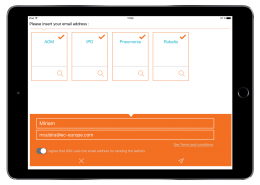 ec-europe and its distributors provide iPads featuring the installed application within the scope of its service for medical conferences and offers technical support for the installation on sales force tablets. 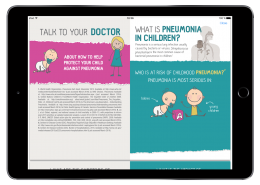 In addition to offering Brochure Selector as a platform for incorporating PDFs, ec-europe is able to provide content and illustrations created on the basis of a brief from the pharmaceutical company if the latter wishes to use this application in order to provide materials for doctor-patient communication. 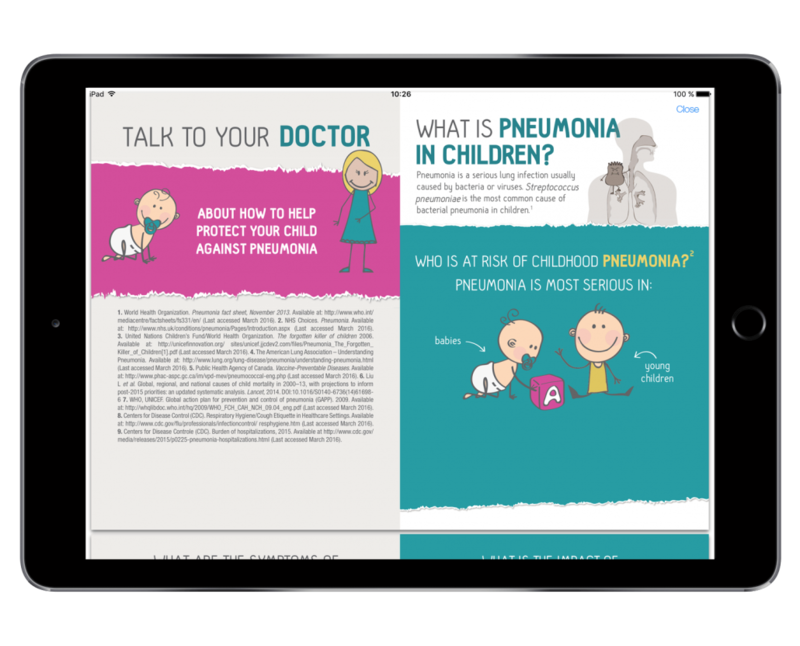 DESCRIPTION: This App Brochure selector was sold to be used in the ESPID (European Society For Paediatric Infectious Diseases) Congress that took place in UK. The app included a selection of leaflets from GSK about different infectious diseases that are very common in children, such as Rubella, Mumps, AOM, Varicella, etc. 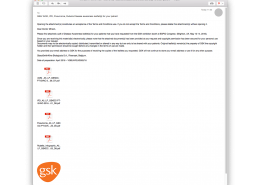 Doctors attending the congress had the opportunity to choose and send by email those leaflets available to their country.